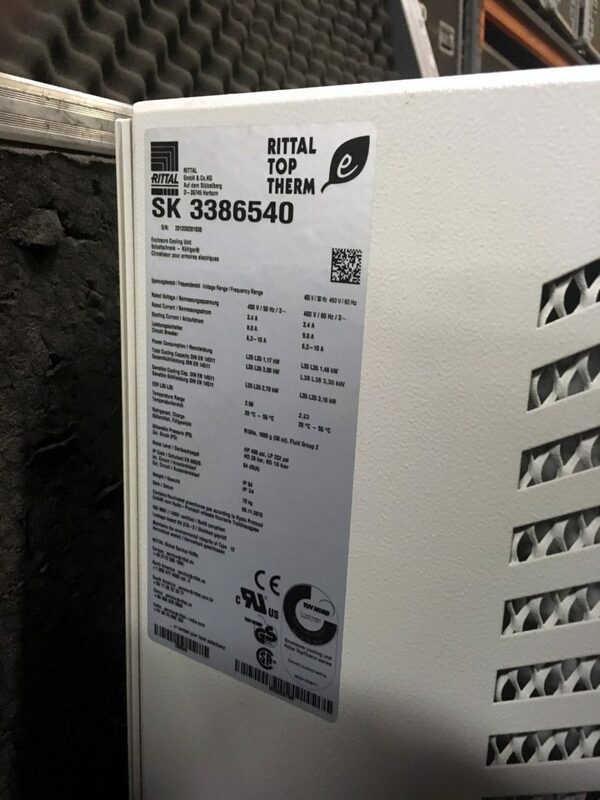 Rittal full height rack with 3386540 cooling unit. 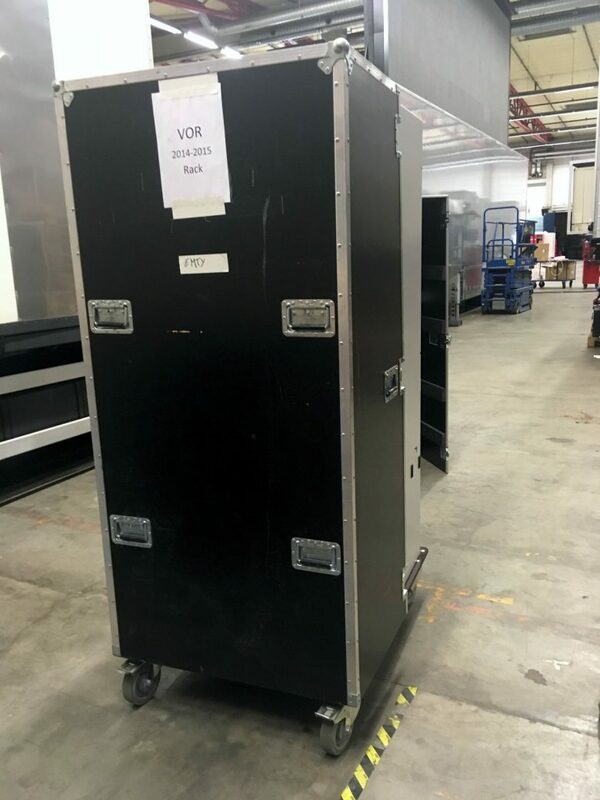 Purchase of both unit will include custom built case for transport. 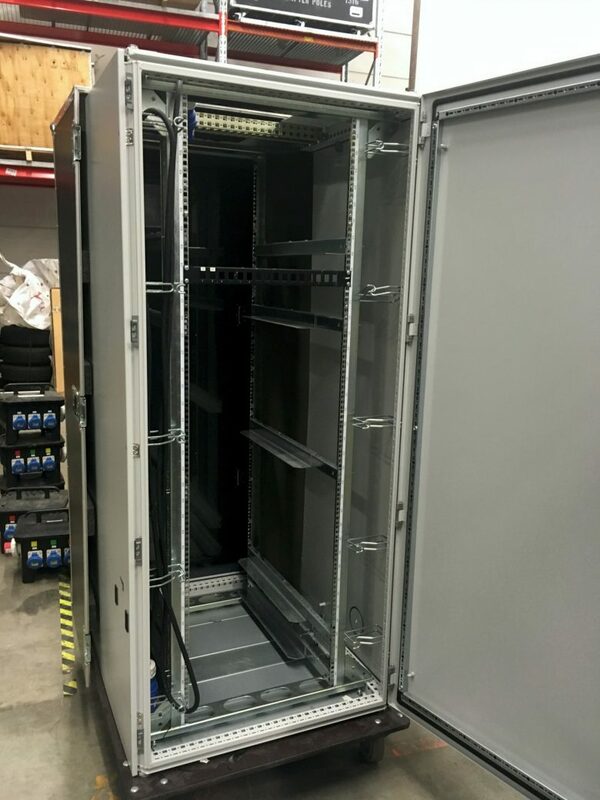 Ideal when an external cooling facility is unavailable or operating servers in a warm enviroment. The racks are only used for one occasion and are almost as-new. The roof-mounted cooling unit 3273.500 is also suitable for office applications, thanks to its low noise level.